The Katherine Coffey Award is given each year by the Mid-Atlantic Association of Museums to an individual in the Mid-Atlantic region to recognize distinguished achievement in the museum field. The Coffey Award ceremony is held annually at the MAAM Annual Meeting and is one of the pinnacle events of the conference. 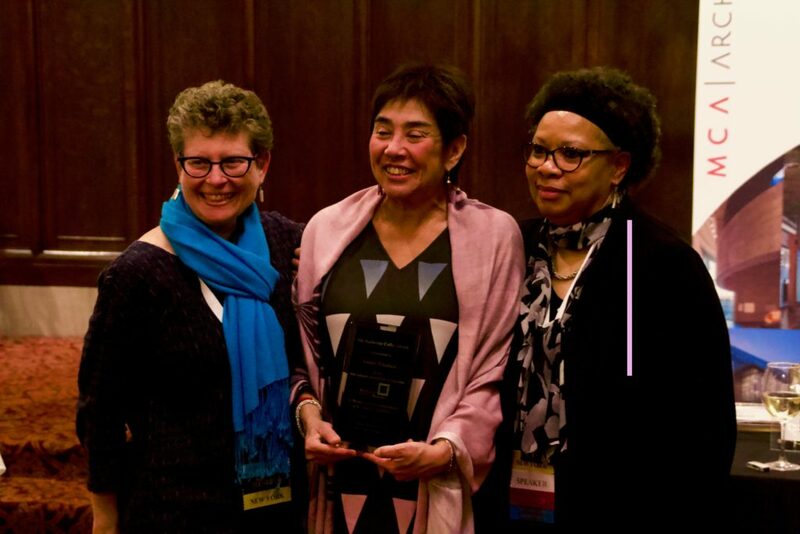 Each year at the Annual Meeting, the Mid-Atlantic Association of Museums (MAAM) gives the Katherine Coffey Award to an individual in the Mid-Atlantic region to recognize distinguished, lifetime achievement in the museum field. Sonnet Takahisa, our 2018 Coffey Award Recipient, has transitioned seamlessly between her work in museums and in education for more than three decades, bringing her signature creativity and intellectual rigor to inspire and create change. No matter where Sonnet has been engaged in her career, she has brought and continues to bring her energy to create new programs and fresh approaches with the goal of pushing and leading the museum profession and providing enriching educational opportunities for children. Awards for outstanding service are too seldom given by organizations of the museum profession. It is true that occasionally persons in the field receive certificates of merit, plaques and sometimes, although very rarely, honorary degrees. As a rule, such awards when given are presented by chambers of commerce, service clubs, and once in a while, by colleagues and universities. Unfortunately, however, our own profession has rarely regarded the contribution of its own notables. Therefore, it was somewhat unusual that the Board of Governors of the Northeast Museums Conference (now MAAM) in May, 1972 agreed that nominations from a broad area be solicited for recognition of distinctive and worthy projects within the museums field. It was also decided that occasionally, when opportunity offered, a professional museum staff member should be cited for outstanding service to museology. The award, set up by the Conference, took the name of the late Katherine Coffey (1900-1972). She was one of the outstanding museum leaders and administrators of the nation. A graduate of Barnard College in the class of 1922, she first joined the Newark Museum staff in 1923, left and returned in 1925 to remain on permanent basis until her retirement in 1968. She was in charge of all exhibitions and educational programs and directed an apprentice-training program from 1929 to 1942. During that period the course graduated 110 young people who later became associated with the staffs of museums all over the country. Many became prominent in their profession. In 1949, Miss Coffey became the Newark Museums fourth director, serving in that post 19 years. She had devoted 43 years of service to the museum when she retired in 1968. On her retirement the Newark Museum established the $100,000 Katherine Coffey Endowment Fund in her honor. With this background of the honor as a basis it is more clearly evident why the action of the Conference was most appropriate when it conferred the first Katherine Coffey Award upon Hanna Toby Rose in 1972, who had just retired from the Brooklyn Museum. Nominees should have worked as a paid museum professional for at least 10 years in a principal position. Nominees should have been (or be currently) employed in the Mid-Atlantic region during the period of principal contribution for which the award is being given. Nominees should demonstrate accomplishment in their role and a record of service to the profession on state, regional, national, and/or international levels. Nominees should also have a proven record of service to the community in which the museum is located. Please send any questions you may have to info@midatlanticmuseums.org. The deadline for nominations is July 31, 2019 at 5:00 PM EST. The person that submitted the nomination will be notified if their nominee has been selected by mid-August 2019. Further details will follow. The nominator is expected to assist in editing and reviewing a press release for the eventual award winner. The Katherine Coffey Award is MAAM’s highest honor. The following individuals have been recognized for distinguished achievement in the museum field. “She has been a tireless advocate for the Museum and the profession. She has served as mentor to high school students, undergraduates and graduate students, colleagues, and community members. She has taken the Newark Museum to the next level in terms of education, innovation and community service, in the same spirit as Katherine Coffey herself.” Steven Kern, President, The Asbjorn Lunde Foundation, Inc.
Sonnet has transitioned seamlessly between her work in museums and in education for more than three decades, bringing her signature creativity and intellectual rigor to inspire and create change. No matter where Sonnet has been engaged in her career, she has brought and continues to bring her energy to create new programs and fresh approaches with the goal of pushing and leading the museum profession and providing enriching educational opportunities for children. Following in the footsteps of Katherine Coffey, long-time director of the Newark Museum and the individual for whom this award is named, Sonnet’s time at the Newark Museum speaks to a lifetime of teaching at other museums and educational institutions. 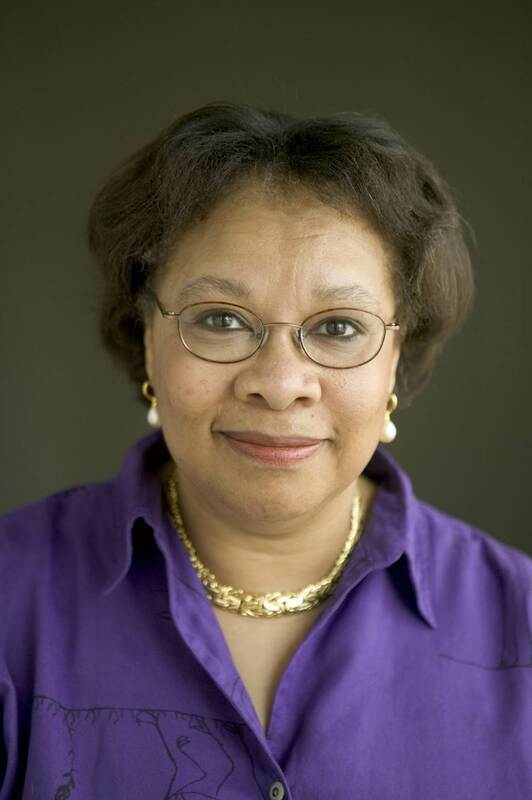 She has worked as an educator and innovator at the Brooklyn Museum, National September 11 Memorial & Museum, and South Street Seaport Museum, and has had an impact on countless other museums and cultural institutions through her work as an independent consultant in exhibit planning, program design, and evaluation. Always a professional ahead of her time, Sonnet founded The New York City Museum School in 1993. The New York City Museum School is a groundbreaking public school that uses the “museum learning” model to engage middle and high school students and provide direct access to the cultural resources available in the city. After establishing this unique school, Sonnet served as Senior Program Officer at New Visions for Public Schools and coordinated the statewide Museum School Partnership Professional Learning Network for the New York State Council on the Arts. Ever ambitious and with an aim for helping others, Sonnet has become a mentor to a large number of junior educators and interns and has taught graduate seminars for The Johns Hopkins University Museum Studies Program. As she says, becoming a mentor is one of her “leadership building blocks” that has been fulfilling both on a personal level and for the students she works with. Sonnet truly is one of the great creative spirits in the museum profession. She couldn’t be more deserving as a professional who has dedicated her life to innovation in education and programming.